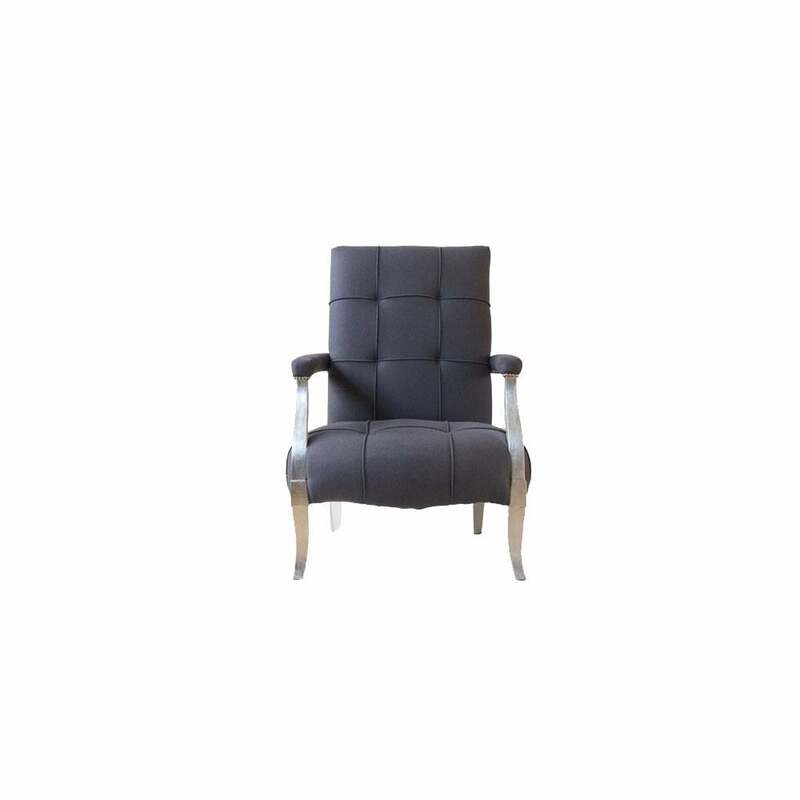 The commodore open armchair has a generous stuffed seat with wonderful rounded curves contrasted against the high square back. The woodwork is finished in hand applied silver leaf, which is buffed to a lustrous contemporary finish, with sturdy sabre style legs. The anthracite grey boiled wool used is selected for its density and natural robustness, which brings stature and tranquillity to the piece.